The fun-loving, high jumping delightful Yorkipoo is a new designer dog that people can’t get enough of. A cross between the Yorkshire Terrier and a Toy or Miniature Poodle, the Yorkipoo comes from good stock, with endearing genes that have made it a coveted companion pooch. Is the Yorkipoo the perfect fit for your lap on a cold winter night? If you’re looking for a dog that’s as sweet as a peach, this mix might be the one. 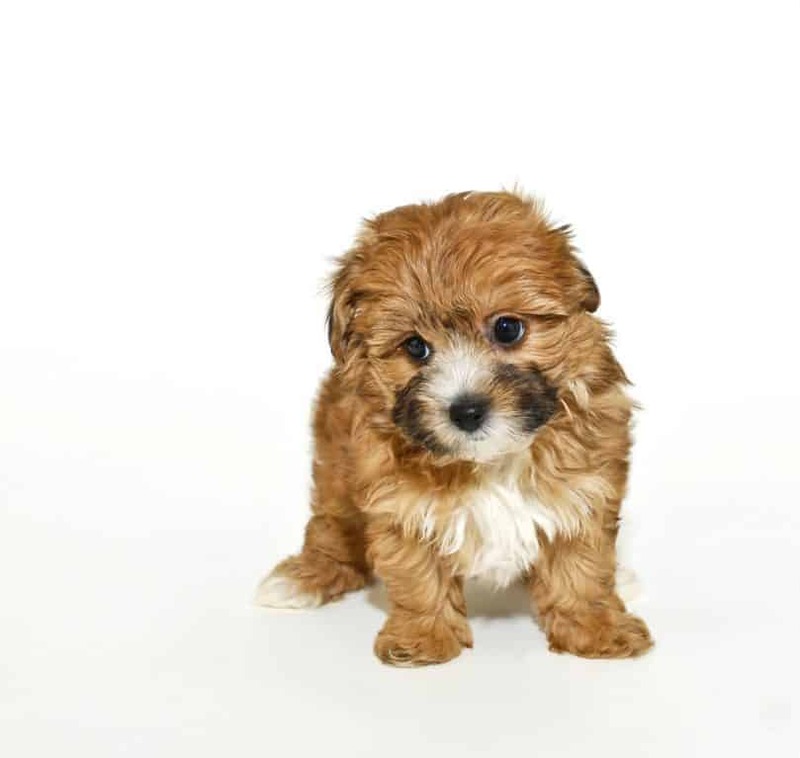 But first, here are 7 things you should expect if you’re interested in buying a Yorkipoo. Does a Yorkipoo need regular grooming? The Yorkipoo’s small size and hypoallergenic fur make it a prime choice for those that love dogs but suffer from allergies. In fact, it was specifically designed for two reasons: to give people with the sniffles a break and to create a health-hardy companion dog. This came about due to the reputation of small-sized purebred dogs facing numerous health issues from poor breeding- including the Yorkshire Terrier and the Poodle. And so, the Yorkipoo was born with a promising gene pool that would take the reputation of the toy breed to a new and improved level. To get a better idea of what the Yorkipoo has to offer, let’s meet the parents for a quick breed background check. In this corner we have parent No.1: the elegant Yorkshire Terrier hailing from across the pond in England. A popular show dog, it’s known for having a fine, glossy fur coat that comes in a light to rich tan color. It’s also known to be hypoallergenic. These dogs are highly intelligent, making them easy to train. They are affable and affectionate, confident and active, with a bit of an overprotective streak. 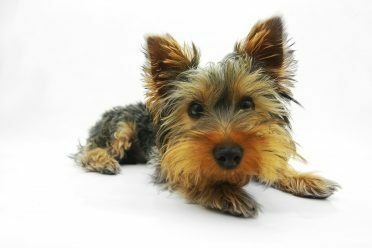 Yorkies have a tendency to bark a bit too much, but this can be overcome with regular training. 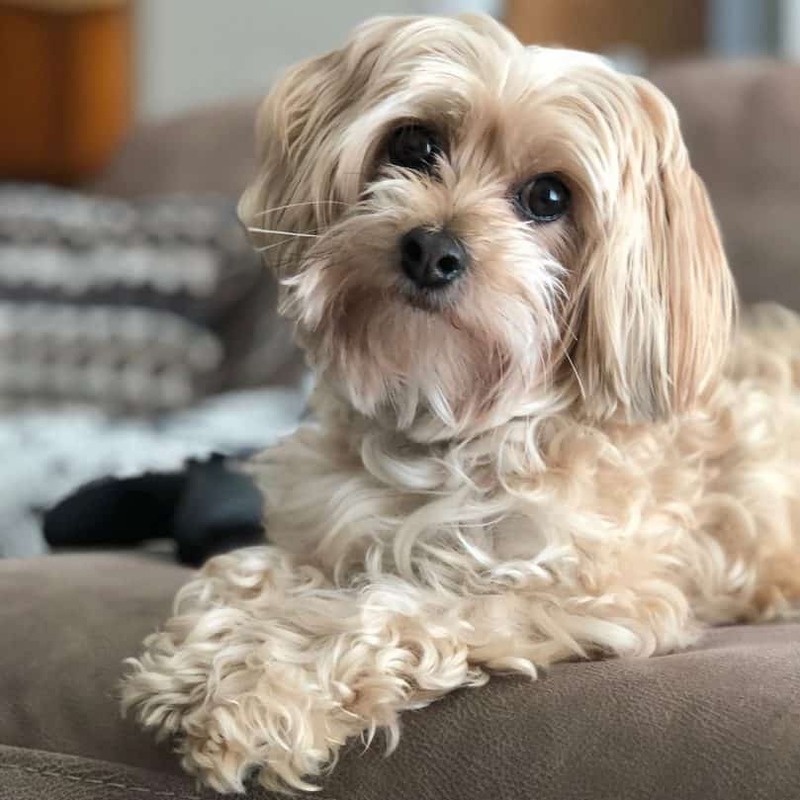 This yapping ability is often a trait that the Yorkie passes on to crossbreeds like the Yorkipoo and the Dorkie (Dachshund-Yorkshire Terrier Mix). They are recommended for families with older children or the elderly, as they tend to act dominant with toddlers. Ranked as the second most intelligent dog breed behind the Border Collie, the Poodle is a clever and handsome canine that has made it a popular choice for breeding and producing a variety of poodle mixes. They shine at anything that has to do with agility, obedience, tracking to herding or even circus performing. They also make excellent service dogs. Poodles are purebred, known for their fantastic, hypoallergenic curls. 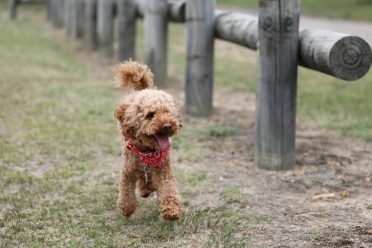 The Miniature or Toy Poodle share the same characteristics as the Standard Poodle, besides size. They were bred in England in the 18th century as companion dogs, but became the national dog of France, due to immense popularity in the country. This breed is also known for having a friendly and loving temperament. Reaching a petite 7 inches to 1-foot size while weighing anywhere from 3 to 14 lbs, the Yorkipoo is the pretty lap dog that gives off an aura of dainty prestige. The pride of this crossbreed is its silky coat that can be straight, wavy or curly. Some people prefer to let the hair grow long, while others find it more convenient to keep it trimmed short. The colors of the coat come in a myriad of hues that range from gold, blue, white, black, red, sable, apricot, tan, chocolate, gray and parti-color. Everything about the Yorkipoo’s appearance is tiny, from its button nose to small button eyes and fluffy ears. Remember, since it’s a hybrid, no two Yorkipoos are the same. No one can know for sure how a puppy’s appearance will change as it gets older. The Yorkipoo may be small, but it’s got a HUGE personality that makes it irresistible. This dog loves people and would rather spend time by her owner’s side getting cuddles than being a guard dog. A confident, yet gentle disposition melts away any worries of aggression. The Yorkipoo is definitely a dog that’s comfortable in her own skin and loves attention. That’s what makes this crossbreed a successful performer. Add in the intelligence it has inherited from clever parents and you’ve got a potential dog show superstar. Can you leave Yorkipoo alone? The Miniature Poodle is known to be highly dependent on the owner, but the Yorkshire Terrier is known to be more independent. It can go either way for the Yorkipoo. Because of its easy-going and friendly nature, the Yorkipoo is favored by families and older folks alike, as they do well in a variety of homes, get along with children and make excellent therapy dogs. Confidence can cause a Yorkipoo to get excited when meeting other dogs and jump upon a larger furry friend without a second thought. To avoid any dangerous situations, supervision is recommended when letting dogs meet for the first time. She can be stubborn and doesn’t like repetition or harshness, but if approached correctly, the Yorkipoo is a joy to train and learns quickly. Keep lessons interesting and upbeat with new commands and rewards to avoid boredom and stubborn behavior. Yorkipoos are sensitive to hard-handed training. Stay patient, gentle and positive to reinforce good behavior. As with many small breeds, the Yorkipoo tends to bark…a lot. Keep obedience training consistent to curb excessive barking. Crate training can be beneficial to help housebreak your Yorkipoo. Check out this well-trained Yorkipoo as it performs some awesome tricks! Don’t freak out- Yorkipoos are built strong when it comes to health with a 10 to 15 year lifespan under their belt. With that being said, there are a handful of health problems that are common among Toy breeds. Epilepsy: Seizures that happen unexpectedly from unknown causes. Patellar Luxation: Kneecap dislocation (common with Yorkshire Terriers). Portosystemic Shunt: An abnormal connection that develops between the portal vein and another vein, bypassing around the liver. Legg-Calve-Perthes Disease: Disintegration of the hip joint that leads to inflammation. Hypothyroidism: Occurs when the immune system attacks the thyroid. Hyperadrenocorticism: Benign growths or other issues associated with the pituitary gland. Atopic Dermatitis: Chronic skin allergies. Tip: When visiting breeders, request health clearances from the Orthopedic Foundation for Animals (OFA) for hypothyroidism. You can also request a clearance for healthy eyes from the Canine Eye Registry Foundation (CERF). A little dog equals little work when it comes to caring. Yorkipoos just want to have fun! Keep your little guy healthy and happy by feeding ¼ to 1 cup of dry dog food twice daily. Since this is a hybrid, your dog’s consumption will depend on factors such as size, age, build, metabolism and active lifestyle. 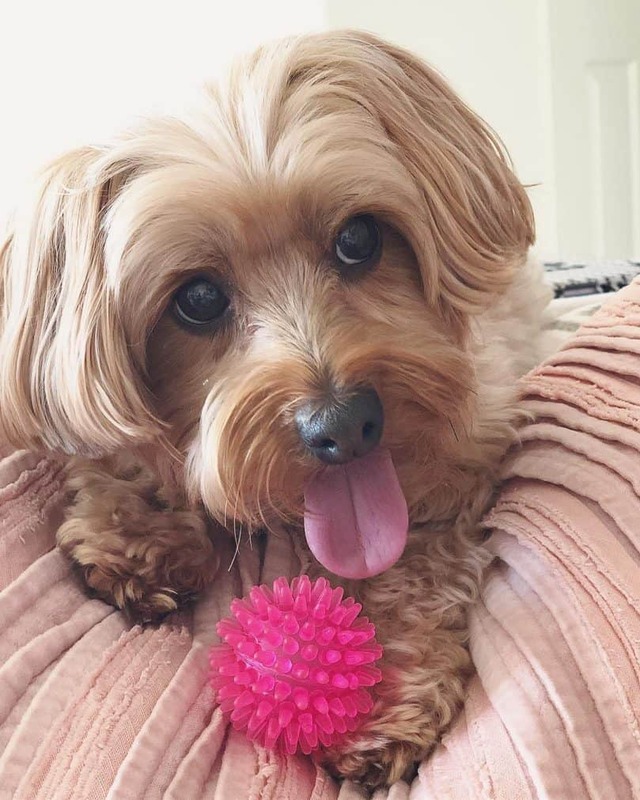 Yorkipoos are energetic and playful, especially when it comes to showing off some tricks. Keep destructive behavior, such as barking and chewing at bay by taking your dog for a daily stroll on the leash or tussling with a toy in the yard. Nothing feels more magical than running your fingers through a Yorkiepoo’s luscious mane, but even beautiful hair takes work. Daily brushing wards of tangles. Be sure to brush and trim the hair around the eyes, as this can irritate them and cause eye injuries. This crossbreed has been around for about a decade. Its popularity is rising and with it, the demand for breeders. When searching for Yorkipoo breeders, make sure you take the time to research multiple options. There are numerous puppy mills churning out designer dogs that definitely shouldn’t get support. Instead, opt for breeders that take the time to answer your questions and even ask you questions about your lifestyle to determine whether or not you have the time and resources to dedicate to a dog. Since the Yorkipoo is a crossbreed, ask for background information on the parents. What is their medical history? How is the temperament of each parent? Questions like this can help you garner clues as to the offspring’s health and personality potential. Before bringing home a brand new puppy, why not check out rescues? Not only will you save a tiny life, but you’ll acquire a best friend that will show you more love and gratitude than you could ever imagine. One thing is clear: the Yorkipoo is a small dog with a BIG heart. You won’t have to worry about aggression with this breed because it just wants to love on everyone. Smart, energetic, playful and fun- get ready to be entertained, as this dog will put on a show and perform tricks, as long as all eyes are on her! Genes culminating from Yorkshire Terrier and Toy/Mini Poodle parents give the Yorkipoo some coveted traits, such as high intelligence, hypoallergenic fur, and an affectionate demeanor. What are your thoughts on this adorable crossbreed? Tell us in the comments! I am David and my wife is Grace. We have decided to get a companion dog for myself. I am a disabled veteran and have become lazy. I love fishing and time in my fishing boat. We feel that a Yorkipoo may be the best choice for us, since I have allergies. We feel a non-shedding dog between 10 and 14 pounds is perfect for our lifestyle. We will go through all the training courses to end up with a well-trained dog. Everyone agrees that a well-trained dog is loved by everyone. A poorly trained dog is despised by many.